Unyque Financial is a full-service mortgage company committed to providing the comfort of hands-on service along with the assurance of a large lender. We strive to provide innovative programs and attentive service. Our company began when a young loan officer was recruited by a direct lender to own and operate her first full service mortgage branch in Covina, California. Under her leadership the business celebrated over $15 million in home loans transactions in its first year. In 2005 the eager entrepreneur expanded the branch to Orange County and Diamond Bar, California. Since inception we’ve helped individuals, families and investors grow and prosper throughout California and the United States. Many companies failed or were driven out of the mortgage and real estate business by the nationwide subprime mortgage crisis of 2007. However, by strategically navigating the ups and downs of the real estate and financial markets, Unyque Financial has maintained its mission to provide affordable home financing and reliable service. Forecasting the future decline in the mortgage industry, in 2006 Unyque Financial reinvented an already innovative company by collaborating with F & M, a business services and taxation company from Pasadena- California, broadening its range of services by including income taxes, business consultation and home loans. Unyque Financial is continually cultivating relationships with wholesale lenders so that we may offer new and attractive lending programs, which allows our clients to take advantage of the most recent trends in the market. 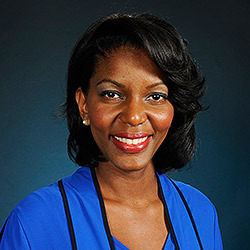 Luna Petty began her career in mortgages in 1998 while attending California State University, Los Angeles, majoring in broadcast communications with the aspirations of becoming a journalist. The first step in her real estate journey was a position as a telemarketer, dialing for dollars as she paid her way through college. She transitioned to the loan processing department where her inquisitive nature and talent for quick analysis lead her into different aspects of the real estate industry thereby giving her the knowledge of the qualifications lenders are looking for to close a loan quickly and efficiently. She has extensive education and training in the fields of Real Estate and Business Law, Real Estate Finance, Business Communications, and Economics. Luna opened her first real estate loan office in 2003 in Covina, Calif. In its first year, the office closed over $15 million in home loans. In 2005 her offices expanded to Orange County and Diamond Bar, Calif. In 2006 Unyque Financial collaborated with F & M, a business services and taxation company from Pasadena- California, creating a taxation and real estate home loan company. Today Luna is a licensed Mortgage Broker, Notary Public and Certified Tax Preparer. In selecting the right home loan she is focused on the clients overall investment portfolio and financial plan. Her longevity is undoubtedly due to her commitment to treating every client individually and striving to find the best product for their own individual needs. Luna also contributed regularly to Crown City News as print and on-air reporter. She had a column in the Pasadena Journal on-line, is a past board member for Pasadena Neighborhood Housing and presently serves as a Founding member of the Board of Directors for Ideal Youth, a Pasadena based non-profit organization which provides youth summer internship opportunities. Throughout his professional career, as an entrepreneur he has partnered with investors in various real estate ventures, assisted numerous clients in creating various successful businesses and has assembled a network of highly skilled professionals to provide the community with a wealth of business resources. 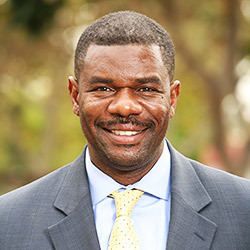 He also has civic duties with the City of Pasadena as the Chair of a redevelopment advisory body, vice-chair of a community development committee and committee member for the Rose Bowl renovation project. Organization affiliations include Board Member of the Pasadena Chamber of Commerce. Ellen Hopes’ background is being in service to people as a life coach plus years of teaching growth and communication courses. She uses these skills with her commitment to our clients to do everything within her power to make this process as easy and enjoyable as possible. She strives to make sure you feel comfortable to ask any and all questions and that you understand each step of the loan process. 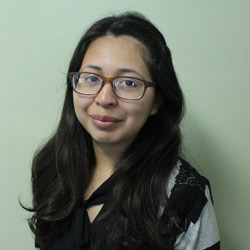 Diana Almanza is a student attending Pasadena City College, who anticipates transferring to a University in California. Diana possesses excellent communication, organization, design and customer service skills. Using skills she has acquired throughout her life, she hopes to become an Anthropologist. She started interacting in the community when she was 13 years old. She began volunteering at her local LEARNS program. 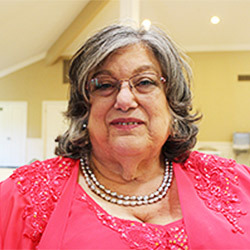 She became a member of the Pasadena Host Lions Club in 2013 part of the world’s largest Service Club, Lions Club International.Volunteering at the Hastings Branch Library since 2013 and is still a frequent volunteer. From there, she joined the non-profit organization, Ideal Youth. Interning at local nonprofits in her community A Noise Within a classical theater where she interned in the stage production department. Interning at Levitt Pavilion and the Pasadena Museum of History. Where she learned customer service skills, management skills, and communication skills. Currently working as an Office Assistant, Receptionist, and Guest Service Representative. She has worked as a dedicated and focused office assistant at Unyque Financials since 2015 focused on completing tasks handling a multitude of tasks such as bookkeeping, data entry, and auditing records to ensure accuracy. Preparing reports and financial data while maintaining a high level of confidentiality of all client financial information. A receptionist at AJ Longo & Associates Insurance Company entering the world of insurance. A Guest Service Representative for the Pasadena Convention Center since 2015 assisting patrons, answering guest’s queries regarding exhibits, honing her customer service and communication skills. I want to thank you so much for all of your help, your patience, calmness, joy in the midst of the storm, for your grace and so much more. I couldn't have gotten this house without you and I didn't want to forget to say THANK YOU for all you did to help me through the process. Only by the grace of God can one do your job and I know this is your calling because it was a joy working with you. You have been there for me through the entire process, in a moments notice, and I am so grateful. Yes, this is your job but I'm glad God put it in your heart to do it because it was meant for you to share your gift with others. Thank you not only for helping us with the loan but allowing me to feel peace when I spoke with you. Congratulations to you and all the people on your team that made it possible for us to get here. Gracias! We made it to the finish line. It was stress free! I appreciate being able to work with a mortgage broker who returns calls, responds to emails and will give an update even when it isn’t good news. I highly respect your work ethic and look forward to working with you in the future. Thank you so much for all your efforts! You are very thorough in explaining all of our loan options for purchasing our first investment property. We will always use you for home loans and refer all of our friends and family.